Actually when they told me to choose one, at first I chose NEO Dali Premium Brown that I have reviewed HERE last month, but unfortunately it was out of stock at the time, and since I was looking for natural circle lenses, so I chose this NEO Ruby Queen Brown instead. But at the end, they sent me both of them when they have restocked the Dali one. Aww how kind they are, thank you! Create your signature look with the Ruby Queen series, a premium range by NEO Vision! This series is designed to frame the iris multi-faceted diamond cut, exuding sophistication, class and personality. In this Ruby Queen series, there are only 3 colors available.. brown, blue and gray. As you can see.. the design of these lenses is unique and pretty like diamonds, but still wearable on a daily basis. However, I just give it 4 out of 5 stars because the design is not really noticeable from a distance when you wear these lenses, but they still make my eyes look quite sparkly like an anime character but in a very natural way lol. It has 2 tones and it looks very natural. Since the brown color of these lenses is quite dark, so the color blends with my dark-brown eyes. It gives a slightly enlargement effect to your eyes, since the diameter of these lenses is only 14.2 mm. But hey, these lenses still look great with and without eye-makeup! but they are still more comfy than other lenses that I have tried before la. So far I did not feel any discomfort and I could wear them for about 7 - 8 hours without eye-drop even in an aircon room. 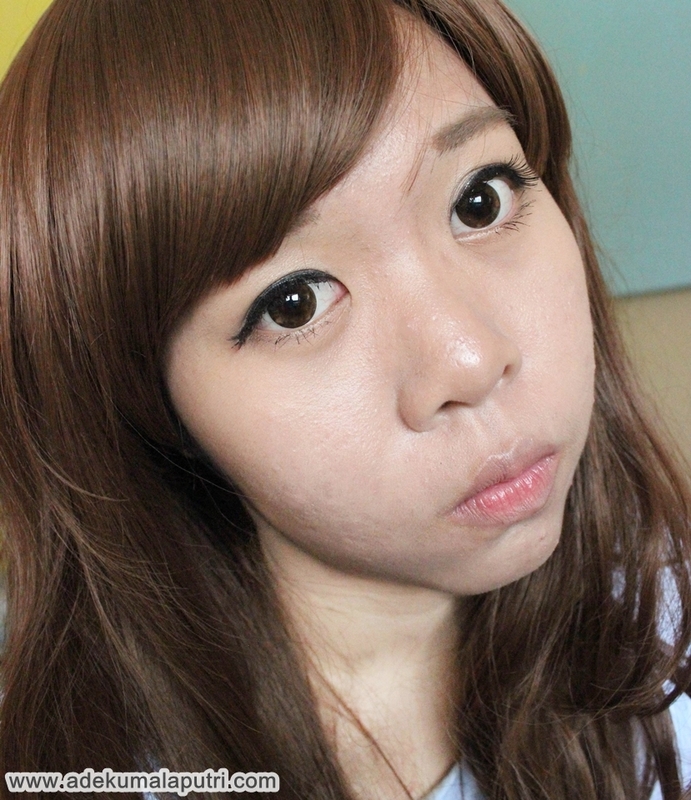 Overall.. these natural-looking circle lenses are not too boring, right? 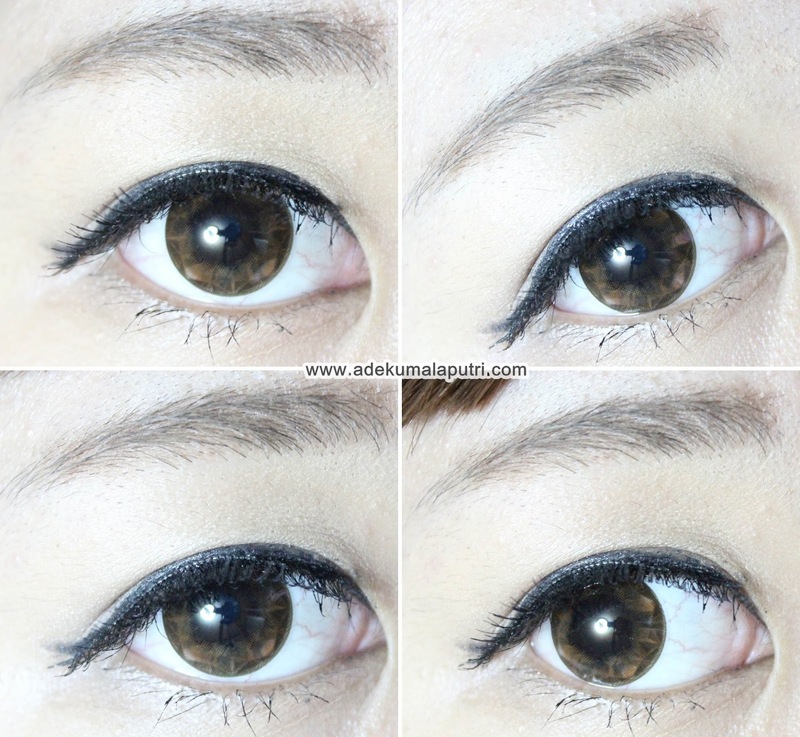 And these lenses are perfect if you are into Korean ulzzang makeup! Ughh now I want to try these lenses in blue, because I think the blue one would stand out against my dark-brown eyes lol. If you are you interested to try these lenses, PURCHASE HERE! Don't forget to use my code 'ADEKUMALA' for a free surprise gift with your purchase! So.. have you ever tried these lenses before, girls?? I love it the effect on your eyes!